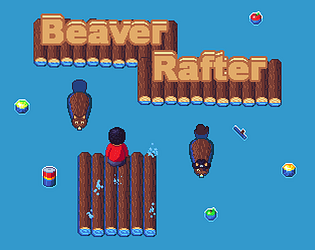 Raft, shoot, eat, repair... BEAVERS!!! Thank you, I'm glad you like the art :) I wish I'd had more time to work on the shore and water though; I originally planned to have trees and bushes on the shore (with fruit that could be knocked down into the water), as well as fish and seaweed below the water surface to give it a bit more life and character, but it was cut due to lack of time; I'll probably add it to the post jam version. Wow that was difficult but I was able to reach the sea. Very well done. Thank you. I wanted the game to be challenging despite being so short. After the jam I intend to add more levels (end end level bosses), and I'll probably scale down the initial difficulty a bit as well. Thanks. 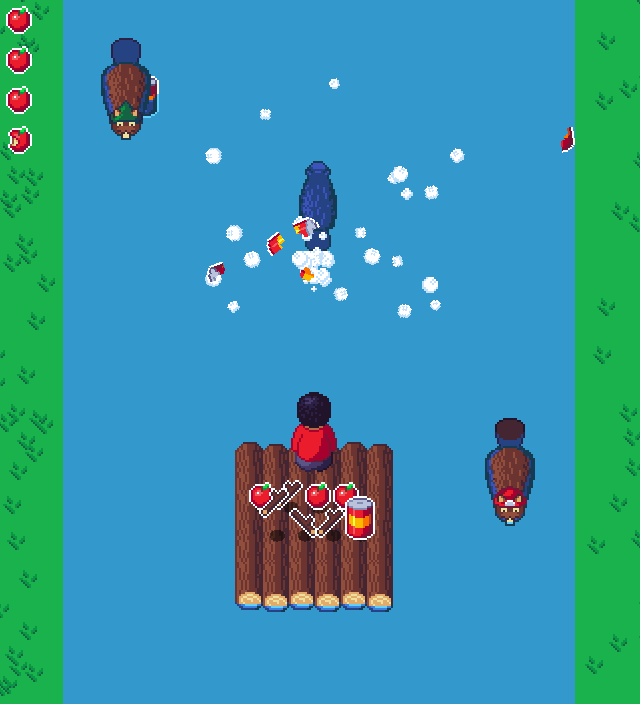 I agree that the raft can be a bit hard to control; I might change it post jam. Yeah, getting to just water counts as beating it; I waited too long before I started implementing the end boss, resulting in me not finishing it in time. I'll update the game page to let others know. 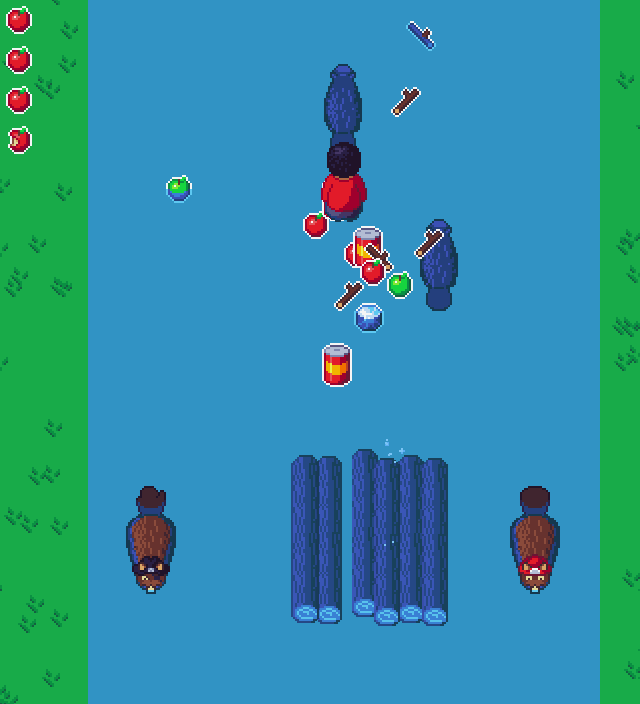 the gameplay looks interesting, just the raft is so big it is really hard to steer ! definitely should be continued . maybe have a look at toobin ? 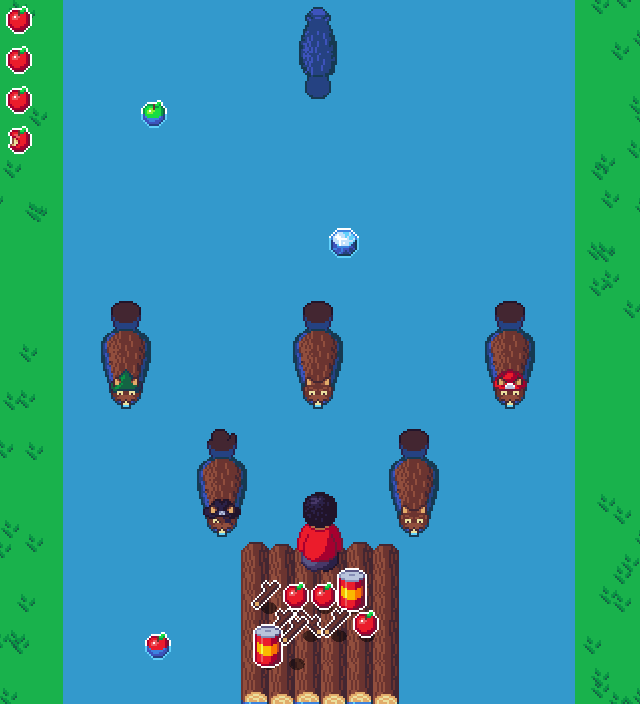 I agree that the raft is a little hard to steer; I initially chose to make it that way to better fit the theme, but I might change it post jam. I do intend to continue working on his project; I already have ideas for end level bosses, as well as the final boss. I also have several other minor enemy types I didn't have time to finish doing the jam , (such as a frog that ries to steal your items).